ALBANY – George K. McCarg, Jr., 57, of Albany, died Monday, March 29, 2010 at Albany Medical Center Hospital after a valiant battle with pancreatic cancer. George was born in Albany and lived here all his life. He was a graduate of Cardinal McCloskey High School, where he played basketball, and he was employed for many years by Laborers Local 190 in Albany. He was a devoted fan of the New York Yankees and New York Giants, and enjoyed visits to the Yankees spring training camps in Florida. George is survived by his daughter Angela McCarg; his stepson Eugene Mobley; his parents George K. McCarg, Sr. and Margaret E. Padula McCarg; his sisters Marie McCarg and Karen Gebhardt (Mark); his grandchildren Nierah, Tearri, Terrance, and Euniqua; his aunts and uncle Bessie Pezzula, Lena Pioggia, and Josie and Tony Maio; his nephew and niece Alex and Kerry Gebhardt; and by several cousins. He was predeceased by his brother Clifford McCarg, and his partner Joan Heaphy. Funeral services will be held in the Hans Funeral Home, 1088 Western Ave., Albany, Thursday morning at 9:30. Relatives and friends are invited, and may call at the funeral home today from 4-7 p.m. Interment will be in Our Lady of Angels Cemetery at a later date. In lieu of flowers, memorial contributions may be made to the Capital City Rescue Mission, 259 South Pearl St., Albany, NY 12202, or the All Saints Catholic Church, 1168 Western Ave., Albany, NY 12203. 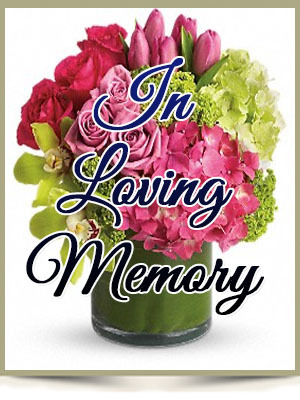 To leave a message of condolence for the family, or obtain directions to the funeral home, please visit www.HansFuneralHome.com . Offer Condolence for the family of George K. McCarg, Jr. I am so so sorry for you loss. I did not know untill this morning, after the services were over. My sincere apologies for my brothers and I, who I’m sure didn’t know either. May knowing that his suffering is over, bring you peace and solace. My thoughts and prayers are and will continue to be with you all. sorry for your loss. It bring sadness to my heart. My prayers are with you and yours.